Grandmaster John Leong doesn’t look like a man approaching seventy. He certainly doesn’t act like one. Every morning he gets up at 5:00 AM for a forty-minute jog. Then he practices Hung Gar kung fu for an hour and a half. After that, he grabs a quick bite and does his morning stretching. Once this morning ritual is complete, Leong is ready to face the day. His wife shrugs at her husband’s discipline. She recalls the prior week; they were in Singapore, simmering in sweltering tropical heat, and her husband still had to go out jogging. “It was so hot,” adds Leong, smiling back at his wife. “I just get out there and I just sweat. I love it. I like to sweat. Even this morning, I got up at 4:30 because I don’t get used to the bed, so I can’t sleep. So I thought I might as well run a few blocks. I run around at night time.” Not bad for the soon-to-be septuagenarian. 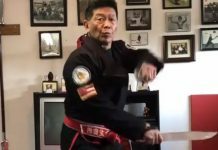 As the president of the United States Traditional Kung Fu Wushu Federation, Leong not only represents the ideal of traditional kung fu practice, he exemplifies it. “You know, I started teaching here in 1962,” reflects Leong. “Me and Bruce Lee started in Seattle at the same time. When we tried teaching kung fu, a lot of people didn’t know what kung fu is. They thought ‘oh, something to eat’ or something. But now, of course, all the kung fu is all over. Everybody knows. We don’t have to explain that anymore. Now, kung fu is a name that is recognized.” Lee and Leong were kung fu pioneers of the same generation, but unlike Lee, Leong has lived a long life. 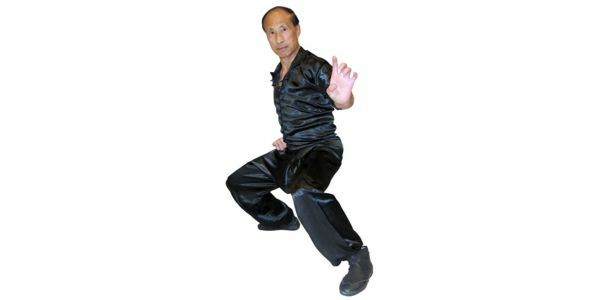 Leong was born in Guangdong Province and began studying kung fu at twelve. Later, he studied Hung Gar under the late Master Wong Lee, a student of noted Hung Gar exponent Lam Tsai Wing. When he reached adulthood, Leong immigrated to America and settled in Seattle’s famous Chinatown district. There he opened the Seattle Kung Fu Club in 1963. 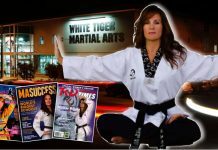 About five years later, Leong began promoting tournaments and events to increase kung fu awareness in America, always donating the proceeds to charity. In 1973, the death of Bruce Lee and the premiere of Enter the Dragon sparked massive public interest in kung fu. Leong’s ’73 and ’75 international kung fu exhibitions drew audiences upwards of six thousand attendees. 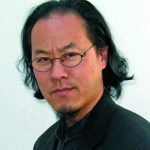 In the mid-eighties, Leong began leading cultural exchanges to China for his students and other practitioners. He pioneered American martial tours to China and became an eminent martial emissary in the process. Chinese officials began inviting Leong to participate in distinguished ceremonies as an honored guest. In 1990, Leong became an honorary advisory for the Songshan Shaolin Temple in Henan, China. Two years later, he was instrumental in organizing the very first Shaolin Monk tour to the United States. Together with Grandmaster Chan Pui and a Seattle Chinese Community leader named Lau Wah Oh, they brought a delegation of seven Shaolin representatives that included Grandmasters Liang Yiquan (one of the top ten masters of China), Shi Deqian (author of the Shaolin Encyclopedia) and the two monks who first defected to America, Shi Guolin and Shi Yanming. Throughout the nineties, Leong continued to work diligently promoting various martial arts events both in America and in China, all the while continuing to train the next generation, including his movie star son Robin Leong, at his Seattle school. 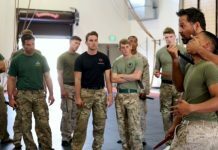 Are Traditional Martial Arts Dying? With the hustle and bustle of modern-day life, few people can dedicate the amount of practice time that traditional requires anymore. This has raised fears that the traditional arts may soon be lost. The colossal scope of many traditional styles completely overwhelms the average weekend warrior. Generations of masters have added layer upon layer of complexity to the systems, entangling the practice in the trappings of thousands of years of Chinese culture. 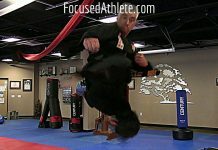 This complexity often obscures the obvious applications to combat, exacerbated by the lack of traditional fighters in today’s mixed martial arts arenas. Some now view traditional kung fu as a martial mammoth – plodding, cumbersome and, by some accounts, on the verge of extinction. 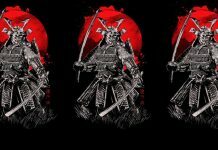 Defining Traditional Martial Arts Ask any young master what characterizes traditional martial arts and they’ll reel off external details: stance, heel placement, lack of aerials and so on. Ask an elder master like Leong and the answer is quite different. Their approach is more philosophic. “Traditional has more respect – more health – (it’s) not just for fighting,” states Leong emphatically. It’s good to fight so you have confidence. But (it’s) also for your health, so you develop the discipline so you can practice more regularly. Put more discipline into it. Everything takes discipline. More discipline. Then you can do everything better. The traditional way is not just ‘I do when I feel like doing it.’ Traditional is more like you have more discipline to yourself and your practice – to do everyday right. You get better health that way instead of if you do whenever you feel like it. Then, all the time (you) put it off. ‘I do it later. I do it tomorrow.’ Not this way. Bruce Lee, an original mixed martial arts innovator, was known for his condemnation of traditional styles or what he called a ‘classical mess.’ Leong reflects on having a kung fu school in the same town as the immortal Little Dragon. “Me and him, we never say we hate each other or anything like that. You know, after he died, everybody say ‘I’m a relative’ or ‘I’m a student of his.’ Everybody using his name. I don’t talk about that. He still has a student in Seattle, Taky (Kimura). Me and him still good friends. Every time I have a tournament, he always come talk about me and Bruce Lee and all the times. But he had a lot of people just using his name to try to make a name out for himself. Matter of fact, after he died, he get more famous, more famous. Even in China now, they try to build a museum. He born in America here, but in his father’s village, they try to put a museum over there as if he belonged there. “It’s important that we teach the traditional kung fu. We are not just teaching fighting only. Make them healthy. People get to forty, fifty years old, you know, the discipline is very important. So if they have discipline, they can watch what they eat and they stop whatever they want if they have to do. Some people just could not stop that. Then can cause problems. That’s why we want to help them learn discipline and to control whatever they do. That’s the main thing the students learn. Not just when you feel like it. When you feel like it is really hard. Because in America, too many things to go to. It’s a big country. They go here, go here, each day. But you go here, you can still do kung fu. You can still do it. Some people, sometime, they have too many things to do here and they slack off. “Some of the people like to stay more traditional. I have a student who has been with me since 1963. 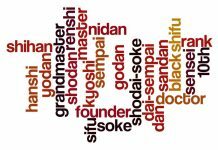 I had many, many over thirty years. Twenty years, ten years, lot of students. Some people like to be more flashy, so it depends on the individual. I’m sure you see everything now. If they can just do kung fu two or three times a week, that should be enough for health. If they can do that, they’d be in a lot better health when they get older. When we practice those sounds, it’s important to teach those people to do that. But any kind of exercise, do two three times a week, it should really help. You’ll get a lot less problems later. 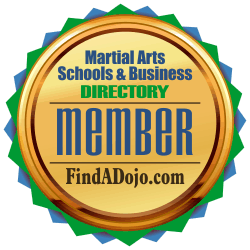 Seattle Kung Fu Club – Central on the Martial Arts Schools and Businesses Directory. For more information about John Leong and Seattle Kung Fu Club – Central visit his website at http://tirschelphotography.com and their listing on the Martial Arts Schools and Businesses Directory by clicking on the image on the left.